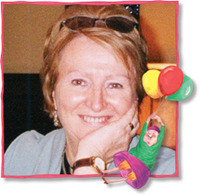 Mary Arrigan is an award-winning writer of fiction for children and teenagers. She has been shortlisted for the Readers Association Award, the Bisto Award and the White Raven Award. 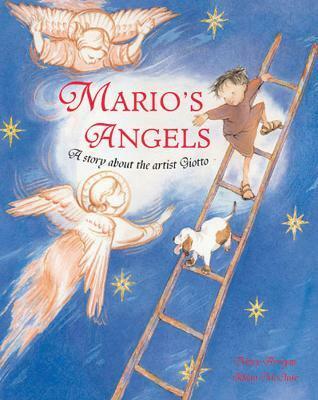 Giotto is decorating a chapel with frescoes, and little Mario longs to lend a hand, but Giotto says no. When Father Prior comes to inspect the fresco, he says, "The sky is too dull. Fix it." So Mario tries to think up ways of brightening the sky. That night, after watching his baby sister, he dreams of wonderful things that will transform Mario's frescoes: angels! Mary Arrigan's lively, informative text, accompanied by Gilliam McLure's delightful illustrations, reveals what made Giotto di Bondone's work so very special. Together with a note on Giotto and his frescoes, a reproduction of Giotto's Nativity and a photograph of the Scrovegni Chapel, the book gives very young readers a perfect introduction to the 13th-century artist who reintroduced the art of drawing living people from nature, and is known as the father of modern painting.